The day was hosted by Blackburn with Darwen’s Youth MP, Elle Walsh, and her colleagues from the Youth Forum. Joining the youngsters were Cllr Maureen Bateson MBE, the council’s Executive Member for Children, Young People and Education, and Jayne Ivory – Director of Children’s Services. A few years ago, the council took part in Takeover Day – which is a national initiative. It encouraged youngsters to take on top jobs for the day – acting as police chiefs and chief executives of big companies and councils. At Blackburn with Darwen we wanted to build on that and we created the Youth Takeover Challenge. This involves bringing a group of youngsters together in a room and giving them the opportunity to influence the people who have the power to make decisions. 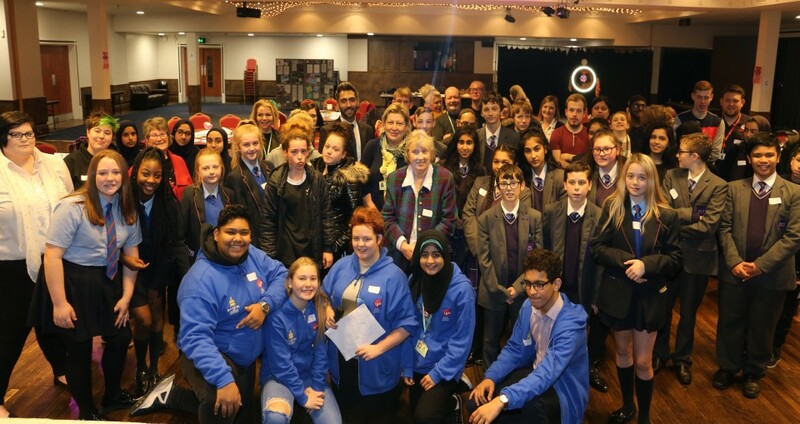 It’s a fantastic way to empower our youth in the borough – encouraging them to discuss issues and come up with solutions that can make a real difference where they live. Pupils from high schools across the borough took part in the session on Wednesday, November 28. The Youth Forum chose the topics of food poverty and period poverty and representatives attended from Food Power and FemCura UK to help provide more information and run workshops. As always, the youngsters blew us away. They were asked to take part in workshops and they really took on-board what they’d been told by the charities and worked really hard to come up with their own ideas for tackling the issues. They were great ambassadors for the borough and it was a pleasure to be part of the day. Last year, the Takeover Challenge focused on mental health. As a result of the success of the day, the Blackburn with Darwen Youth Forum now attends meetings about mental health services for young people and regularly meets with the dedicated mental health nurses. They’ve also supported the Young People’s Service with their mental health youth work curriculum packs. Following the 2018 event, the Youth Forum will now prepare a report to be presented to the Council’s Executive Board meeting and the Children’s Overview and Scrutiny meeting.